Life is a journey of discovery and change, and optimism or pessimism profoundly affects how we react to our experiences. Research shows that people are born either more positive or more negative than others, but it also shows that we can mold our brain to these attitudes. 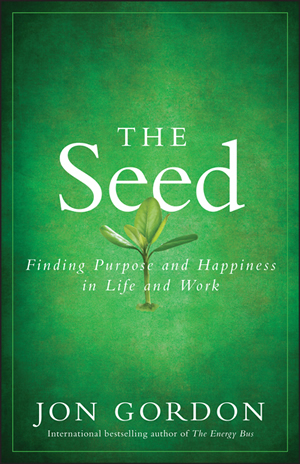 Jason Hartman is joined by author, Jon Gordon, to talk about achieving success, learning from events in our lives, and as the title of his book states, finding our purpose and happiness. Jon explains how differently people can view the same event, how different perspectives affect outcomes and how well people get through difficult experiences depending on their perspective. 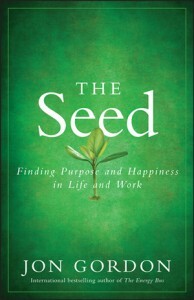 Jon states that true success happens when people focus on the root of the tree, nurturing purpose and passion. “We get burned out not because of what we do; we get burned out because we forget why we do it,” Jon says. The root, the purpose and passion, brings forth the fruit, success. Jon Gordon’s best-selling books and talks have inspired readers and audiences around the world. His principles have been put to the test by numerous NFL, NBA, and college coaches and teams, Fortune 500 companies, school districts, hospitals and non-profits. He is the author of The Wall Street Journal bestseller The Energy Bus, The No Complaining Rule, Training Camp, The Shark and The Goldfish, Soup, The Seed and his latest The Positive Dog. Jon and his tips have been featured on The Today Show, CNN, Fox and Friends and in numerous magazines and newspapers. His clients include The Atlanta Falcons, Campbell Soup, Wells Fargo, State Farm, Novartis, Bayer and more. Jon is a graduate of Cornell University and holds a Masters in Teaching from Emory University. He and his training/consulting company are passionate about developing positive leaders, organizations and teams. When he’s not running through airports or speaking, you can find him playing tennis or lacrosse with his wife and two “high energy” children. SOW 60B: Sustaining Success with Mark Thompson CEO of Richard Branson’s ‘Virgin Unite Mentors’Apple Preparing to unleash Drive-Time Podcasting?